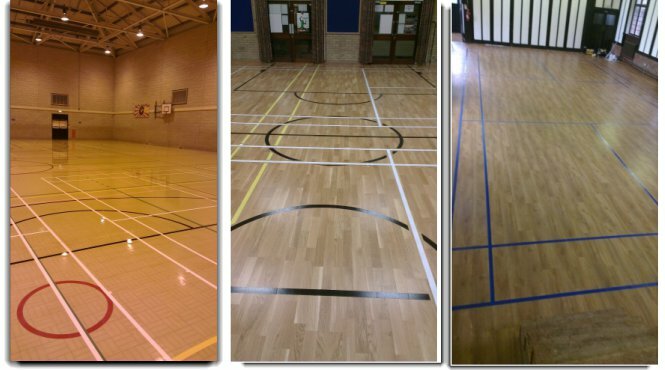 AJ Floor Sanding & Court Marking have many years experience of sport court marking, from large sports halls to small village halls. We can apply court markings to a variety of floor types including Granwood, wooden, tile and vinyl surfaces. All of our court markings are to Sport England specifications (www.sportengland.org) so you can rest assured that your desired sports area will be to the correct dimensions. With smaller venues, we can adapt the court marking to suit accordingly.